I wrote a blog post, When will games get more social & personalized content, back in November ’09 where there was a sketch showing a “Game Home”. 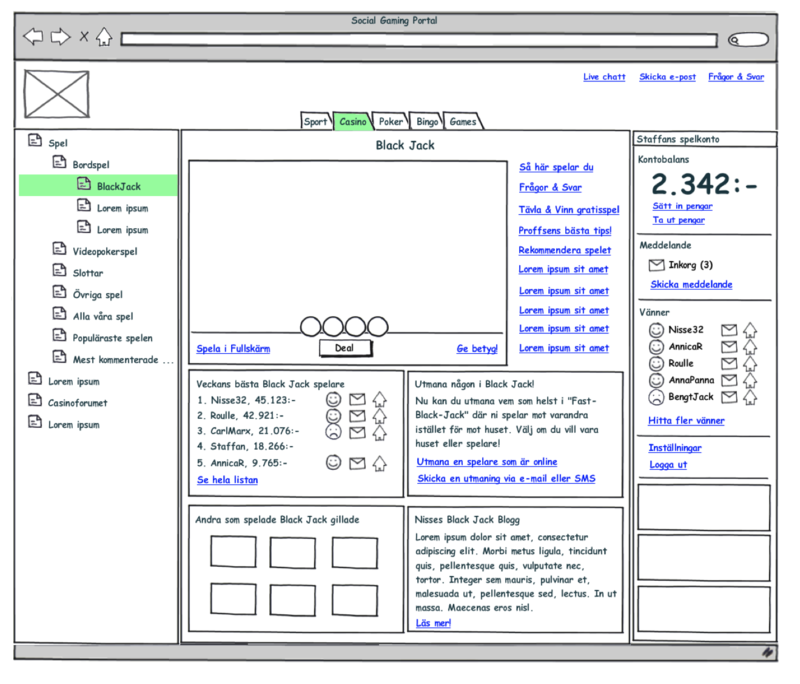 The concept was to have a home for each game on your gaming portal with information and features related to the game. Today when I visited PaddyPower.com and their games section I noticed that they have implemented something very similar. 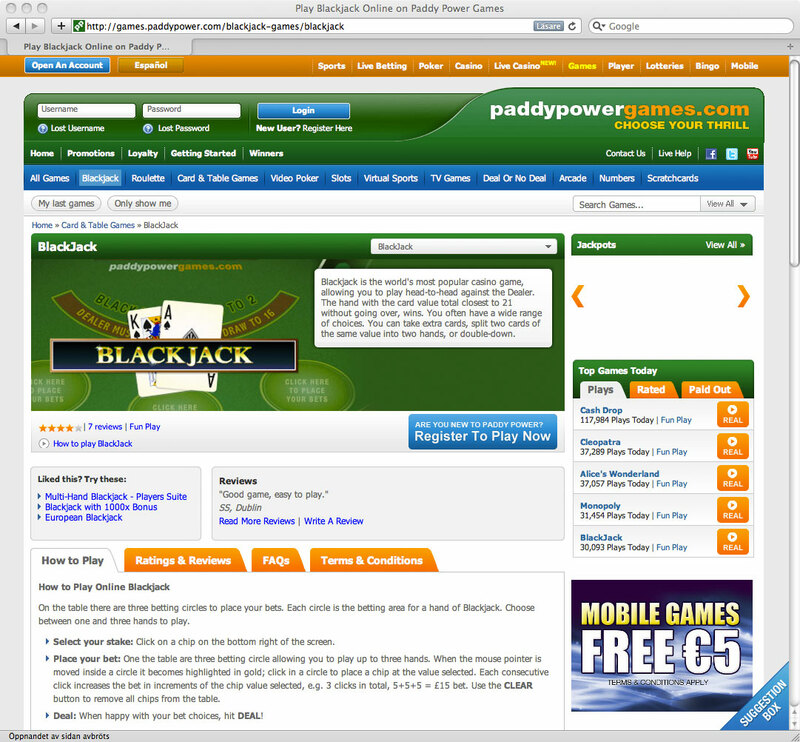 In image 1 you see PaddyPower’s “Game Home” for BlackJack. It includes “how to play”, “ratings & reviews”, “FAQs”, “Related games” and so on. I think it looks pretty good and below you can see my sketch. My “Game Home” concept sketch includes “How to play”, “This week’s best BlackJack players”, “Related Games”, “FAQs”, “Challenge a friend”, “Rate this game” and “The Black Jack blog”. I think PaddyPower has done a good job with their “Game Home” and it will be interesting to see if the continue to develop it.